Pictures from the inaugural race at the new Circuit of the Americas in Austin, Texas, the 2012 Formula 1 U.S. Grand Prix. Note that the pictures sizes are set in either a 4 to 6 or 8 to 10 ratio. You can choose other ratios (5 to 7, for instance) when purchasing a picture but you you will need to carefully manage your crop if you do that. Don't hesitate to get in touch with me at pryormemories@yahoo.com if you have any questions! Winner of the 2012 U.S. 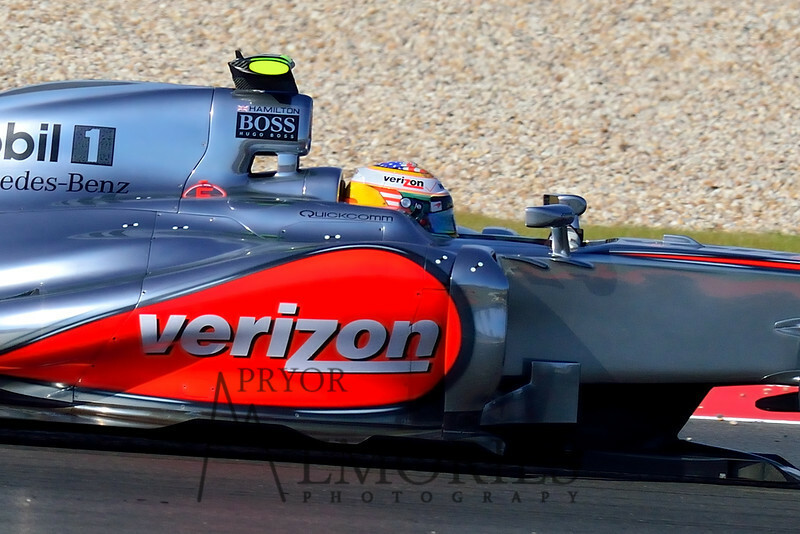 Formula 1 Grand Prix, Lewis Hamilton, driving the #04 Verizon McClaren Mercedes.